Here’s the final episode Carolyn and I directed and produced before shipping off to BU Los Angeles, written by ourselves and our writing staff. For the past four months of this semester, I’ve been enrolled in a class entitled Hothouse Productions, which is a student-run client-driven production company based at BU. The goal of the semester? 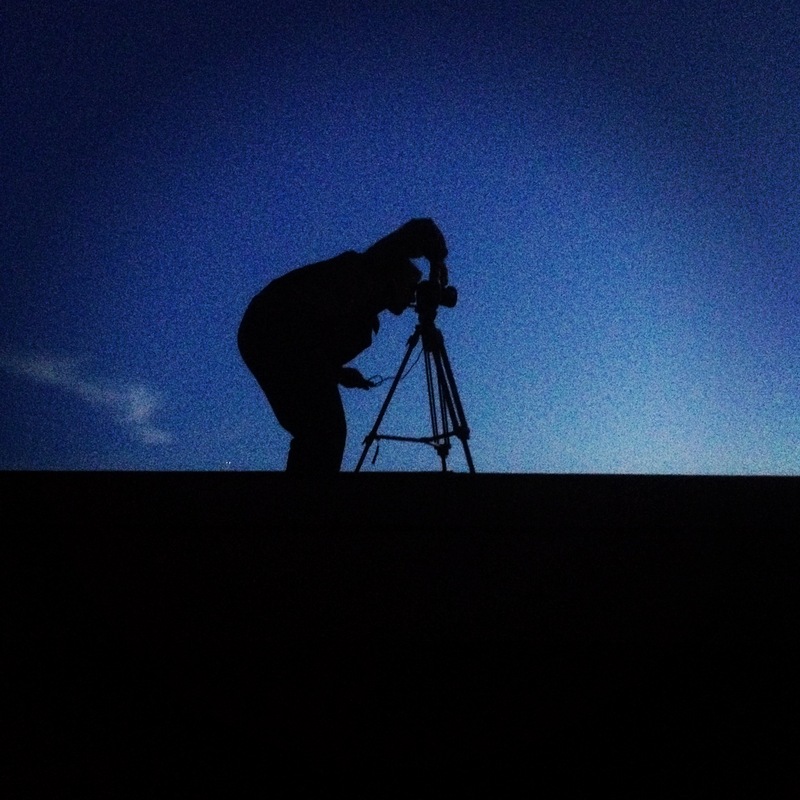 Make the best video for your client. Or else. Goal met. Goal met big time. My group and I – Kellan Reck, Katie Wolosoff, and Brian Gallagher AKA Team Kenmore – took on Hotel Commonwealth, a popular Boston hotel in Kenmore Square, as our client. We met with the hotel management, who charged us with the task of creating a promotional video not for them, but for Kenmore Square. 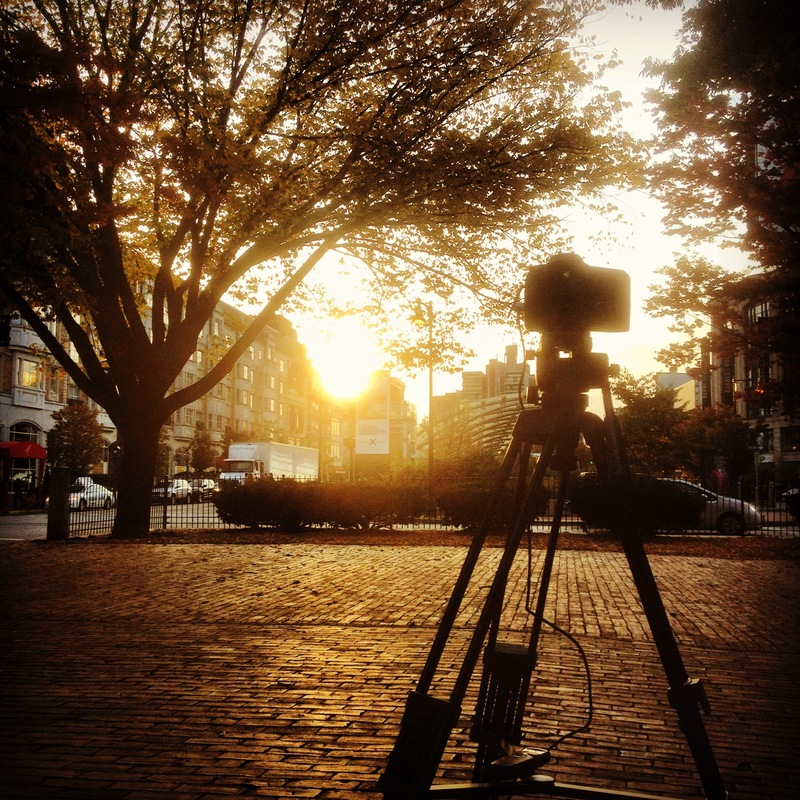 Shooting time lapses in Kenmore Square. What’s the purpose of that? The hotel wanted to promote the special area Kenmore has become for the city. Kenmore used to be quite the dodgy neighborhood, but now, thanks to the hotel and thriving businesses in the square, Kenmore has quite literally become the heart of Boston. It’s pulse. 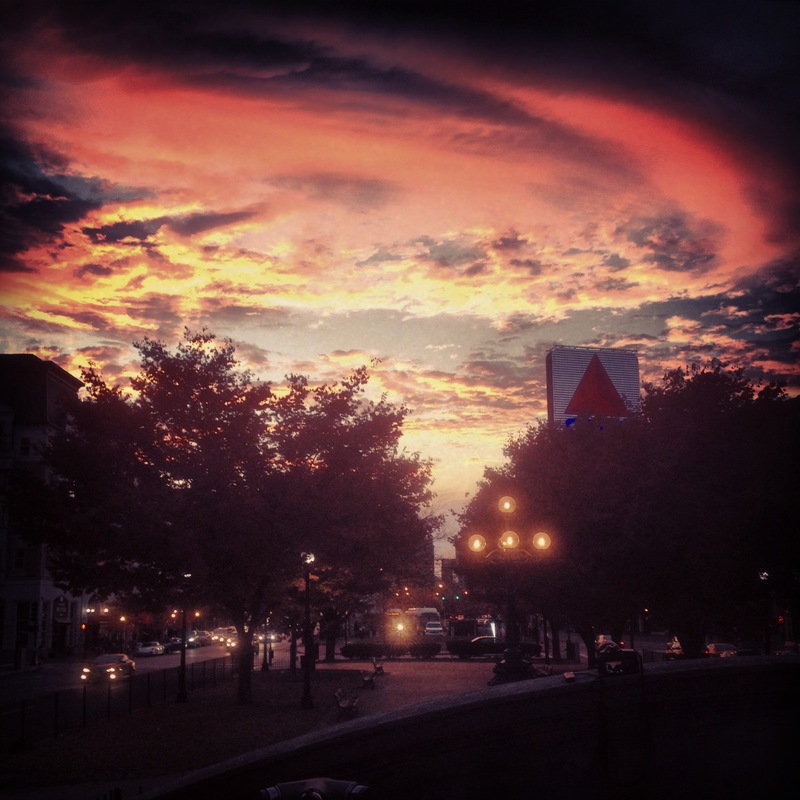 Kenmore Square is the where you see the pulse of the city. Our resulting work below represents some of the most satisfying work my Brian, Katie, Kellan, and I have ever done. From shooting on the roof of the hotel in the wee hours of the morning to staying up way past our bedtime for lil meetings that became quite the bonding moments for us, we’ve created not just a promotional video for Hotel Commonwealth to share on their website, but a tribute to Kenmore. A tribute to Boston. Why would you need to go anywhere else? Shooting on the roof of Hotel Commonwealth. BIG BIG BIG special thanks to our professor, Barry Nolan, and his wife, Garland Waller, for all of their help in making this a success. Our third episode (aka the 3nd act of the original pilot episode) of Co-Ed ties up what we started in the pilot, and gives us one final look at this cast before we transition into our newest cast. How does that transition occur? You’ll have to wait for Episode 4 to find out or put your guesses in the comments! All the suitemates find themselves at odds as the Jesus’ Hornblowers concert and the crab fundraiser both approach. Can friends be friends, or will this drive the suite apart? Watch the episode on butv10 here. Our second episode (essentially the 2nd act of the original pilot episode) of Co-Ed intensifies a number of our plots. Bethany and Dylan’s feud over their conflicting events intensifies as both get, shall we say, crabby. Grant ropes Adam into six step program for getting over girls, putting them and Shane in quite the compromising situation. The pilot was already written when I took over with my fellow EPs Carolyn Cicalese and James Molinaro. However, for the next two years until this moment, the production and post-production of this pilot episode for The Next Generation underwent cast and crew changes so often that we were finally able to complete the episode this semester. Carolyn and I decided to split this originally 30 minute episode into 3 smaller episodes, to accommodate more of a social YouTube way of viewing on the internet, despite the episode still airing on Channel 10 in Boston. My duties included helping the company prepare their pitch to the showrunners in order to get the job. Once we (hooray!) got the job, we had to scout locations and plan out the logistics of the actual shoot. I unfortunately had to leave the country before the shoot happened, as my study abroad program had ended, but the final product is ultimately an emotive piece of work. I’m proud of the work the company did with this, capturing the strength of Cyndi Lauper’s track to represent the strength the competitors need to discover and embody. My roles included first editing a pre-animatic so the Creative Director could piece together the timings of the 3D animations before we actually went out and shot the footage. Once it was time to shoot, I traveled with the crew to the outskirts of Sydney (almost near the Outback!) to witness some true Aussie living, and capture some of the iconic Aussie footage that the 3D artists would then turn into food. It was an amazing learning experience, seeing how the process of adding animations to raw footage. There was much back and forth involved with arranging the soundtrack so the animations were timed correctly and didn’t appear disjointed. It was interesting to note the differences the director and 3D artists noted, both criticisms leading to a perfect and fun polished clip. Matriculation? What the heck is Matriculation? That’s a question always heard around the beginning of the new academic year, as new students walk around their new home for maybe the first time. During the summer, new Terriers graduated from high school. When entering Boston University, the president reverses your graduation a bit, so that you may be matriculated into the university to become a fully fledged Terrier. That’s where I come in this year. I was asked to create a short film celebrating the Orientation sessions the students had experienced, as they now become brand new college students. You may have seen, witnessed, or heard of my web series, “How To BU,” that provided advice and entertaining antics to new Boston Terriers. Since many of the incoming students had watched parts of the series, I decided to take the mantra of learning “how to BU” and incorporate the meaning behind matriculation. For them, it was now time to BU. This was their big moment. But you can’t move on if you don’t celebrate the past, right? There’s an essential fear that almost everyone experiences in their lifetime when entering a new part of their life. You don’t know what’s happening next; you don’t know what’s going to come of what new era you’re stepping in to. It’s all a horror movie, really. That’s the idea myself and two other BU students took into account when we were asked by BU’s Director of Development Dr. Beverly Brown to produce and star in a short film to provide new students with upperclassmen advice, tips, tricks, and warnings about entering the university. The result was a lot of fun to create. After filming all around campus, giving insight into different programs, activities, or ways of life, I applied multiple lighting effects at every turn to turn the university into…well, that’s a spoiler alert! Part of my position as a Program Advisor for BU Orientation this summer was to be the Skit Director, a job that required me to write and direct a 30 minute sketch comedy to be performed 5 times for 4,400 incoming BU students. Thus, “XOXO, Rhett” was born. It tells the story of Kyle fighting to keep his secret safe, but needs the help of fairy god-doggie Rhett once Gossip Girl threatens to reveal his secret to all of BU’s campus. Of course there’s a dance sequence thrown in there for good measure, as well. But the creation of Kyle’s story definitely was not formed so easily. At first, Kyle was going to stuck on BU’s campus, finding that all of the buildings were disappearing by some imaginable power, and he would have to find some sort of central control on campus to stop the destruction. However, that felt too dystopian and the world has seen too much of that on the big screen and in itself recently. I decided to stray away from a “theme,” per se, and focus on the individual that Kyle always was to me: insecure, scared, filled with latent talents, and harboring confidence way beneath the surface of his skin. The struggle was, how can I create a world for Kyle that can showcase all of that, and still be relatable to the new BU students that were going to watch his journey as he got to campus? He couldn’t be a wimp, but he also couldn’t instantly be this macho character everyone fell in love with. I decided on giving Kyle a secret superpower. That way, he could in need of being confident but still too insecure to let anyone in the knowing of his secret. It directly mirrors anyone’s first year at college, as any student has hidden, amazing talents (or, “superpowers”) but don’t exactly know if people will accept them for who they are. The obvious threat to this situation is obviously the possible reveal of Kyle’s power. I won’t delve into the plotline, as that would spoil the whole show! However, the creation of Gossip Girl felt like a relatively powerful and additional evil that all students could relate to. Whether you’ve seen the show or not, practically everyone has heard a reference to Gossip Girl. She’s a gossip menace, the last thing Kyle wants to deal with. The whole peak to this mountain comes with the final dance routine, set to a song I again won’t spoil here (sorry!) but fits the situation perfectly. Turns out, even Gossip Girl has her own secret. I thought this would send a powerful (and entertaining) message that, again, everyone has their own hidden talents and fears, and confidence only comes from embracing them. Communicating them. Being you. I just want to thank my cast and crew from the bottom of my heart for making this possible, most especially my Director of Orientation, Shiney James, for giving me the opportunity to put a bit of my heart onto that stage. Everyone worked enormously hard to get to this final product, and I think it damn well paid off. Written, casted, directed, and produced by Chris Roys. Filmed by Jim Russell and Tami Gabriely. Edited by Jim Russell. Animations and inserts filmed & edited by Chris Roys and Jim Russell.